At Affordable Masonry, LLC, we only utilize the most advanced masonry techniques available and employ the best masons. This ensures quality masonry work and happy customers, which are important to us. Our masonry services in Warren County are extremely affordable and come highly recommended. You get the best bang for your buck when you contract Affordable Masonry, LLC. Whether you need your existing Warren County chimney repaired or have always wanted a brick fireplace in your living room, call the pros at Affordable Masonry LLC. 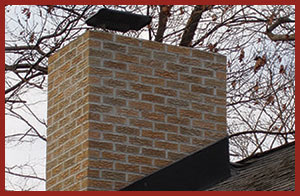 Our master masons can complete any chimney and fireplace repairs, installations, or rebuilds in Warren County NJ. Whether yours is made of brick, rock, or stone, you can count on our Warren County masonry team with over 30 years of experience to always get the job done right. Constructing New Masonry Steps Anywhere You Want in Warren County NJ, Affordable Masonry LLC can build brand new masonry steps anywhere around your Warren County NJ residential, commercial property. Let us add stylish stone steps to your front door or long-lasting brick steps around your business. 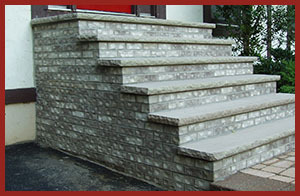 If you feel overwhelmed by your options, we can also design your new masonry steps. Years of wear and tear, as well as the elements, can damage your Warren County steps. Our knowledgeable Warren County masons can extend the life of your steps by repairing them. If they're just too far gone, we can rebuild your masonry steps for you instead. They'll look just like they did when you moved in - or even better! All our work comes with warranties. Heavy rains can lead to your land eroding away and potentially causing irreversible damage to your Warren County property. 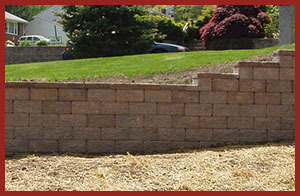 Protect your yard with a long-lasting retaining wall system installed by the Warren County masonry experts at Affordable Masonry LLC. If you've noticed chips and cracks in your Warren County retaining wall, call Affordable Masonry LLC to repair or even rebuild it with ease. Update the look of your property with a gorgeous new walkway or stylish custom patio created by the masons at Affordable Masonry LLC. We've built a great reputation over the years for our Warren County masonry work by crafting brick, paver, concrete, and stone walkways, sidewalks, and custom patios that are made to last. All of our Warren County masonry projects are held to the highest of standards by our owner, who is always on-site on every job. We can design an eye-catching new walkway or custom patio that you will love! If your Warren County concrete patio has seen better days or your Warren County stone walkway is missing a few rocks, call Affordable Masonry LLC. 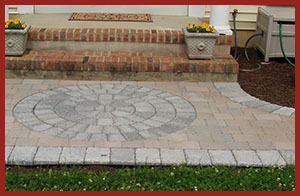 For over 30 years, we've repaired and rebuilt patios and walkways of all shapes and sizes in Warren Count NJ. When you're starting to construct a new building in Warren County, obviously the first step is the foundation. 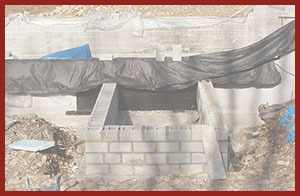 Our talented team of Warren County foundation contractors can help you get started by building a sturdy concrete block foundation that will last for years to come. We can also create new walls out of stone, concrete, or brick as part of the construction process. If you've realized your Warren County building's existing foundation is starting to crack or crumble, contact Affordable Masonry LLC and we will repair any damage to your Warren County foundation and make it structurally strong once again.